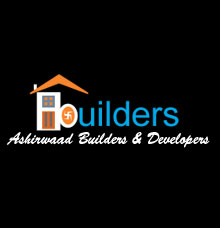 Ashirwaad builders and developers is an established name among residential builders and in residential trade in Bangalore. Since 5 years Ashirwaad builders is spreading its roots in city by providing residential development works all over Bangalore. At Ashirwaad builders and developers we work with the business ethics of innovation as per the modern technology and maintain the high standards of construction. We are determined to take the residential standards in city to a revolutionary level by bringing in new technological development in field of residential construction. We are proud to complete successfully three residential apartment projects namely Sai Ashirwaad residency and sai Ashirwaad paradise project at Kudullu, Bangalore. The projects provide the 2 and 3 BHK accommodations constructed in areas ranging from 1000 to 1500 square feet. By the quality construction service delivery and providing best residential creativity at affordable range in all projects, we are acknowledged with satisfactory feedback from our customers. Both residential accommodations are located at green, silent and clean locality with spacious parking and garden area. Facilities like adequate water and power supply is assured. Security measures are given top priority by providing security system. 3 of our projects are pipelined and we are determined to work for it with same consistency and timely delivery. We provide the specific feature of customizing the interior size as per requirement and meeting documents as per SBI standards.